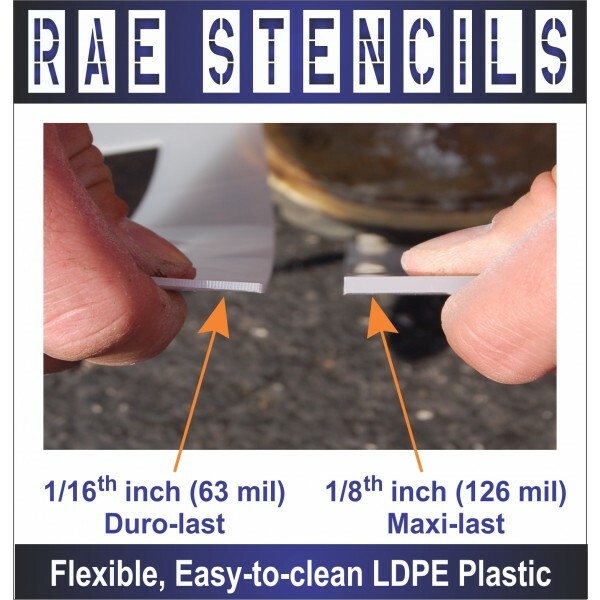 Made from tough, flexible Low Density Polyethylene (LDPE) Plastic in either 1/8” (126mil) MAXI-LAST thickness, or 1/16” (63mil) DURO-LAST thickness. 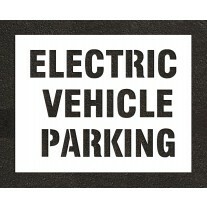 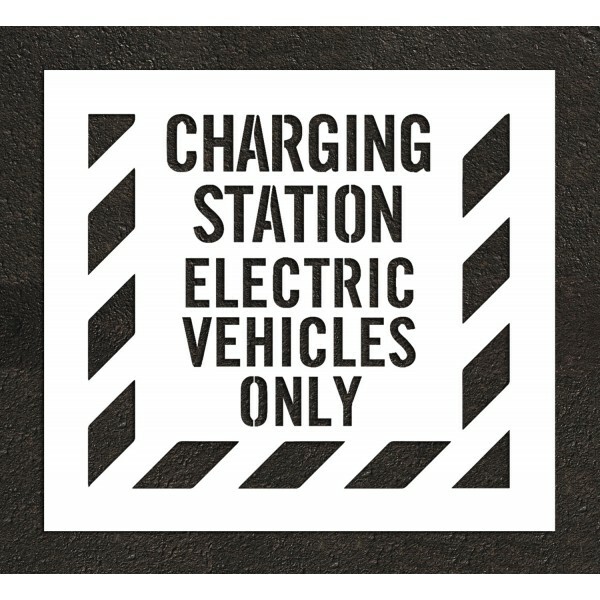 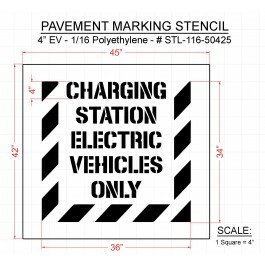 RAE's series of Electric Vehicle Parking & Charging Station Stencils are used to help (EV) drivers to have a dedicated parking/charging area. 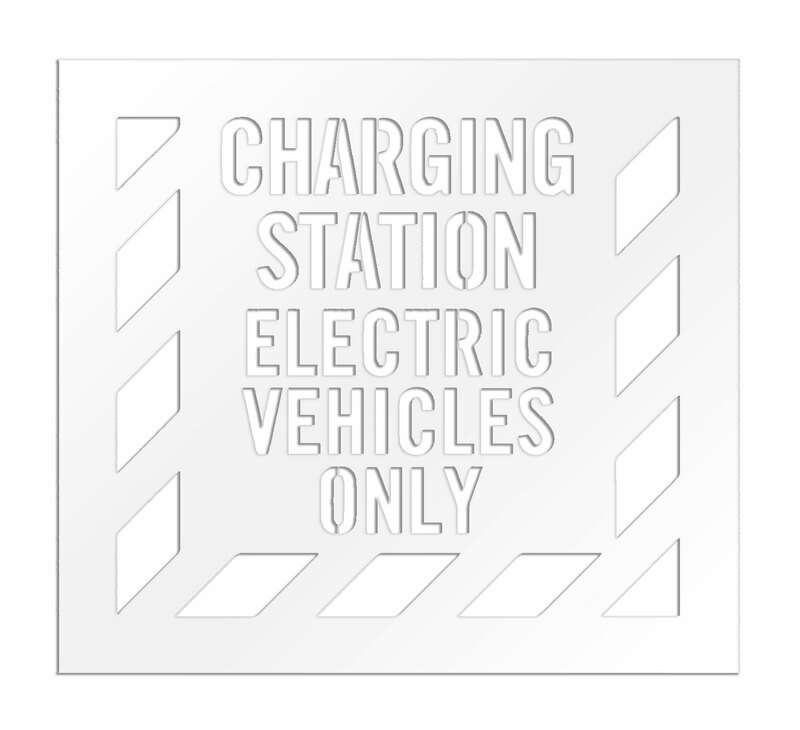 As new EV Stations are opening up in various locations all the time, there is a growing need to properly mark these areas. 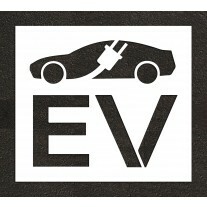 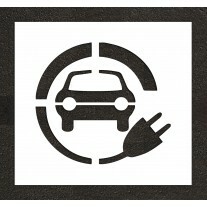 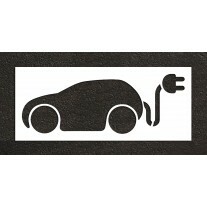 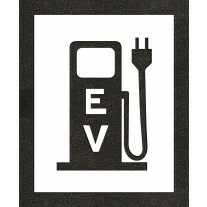 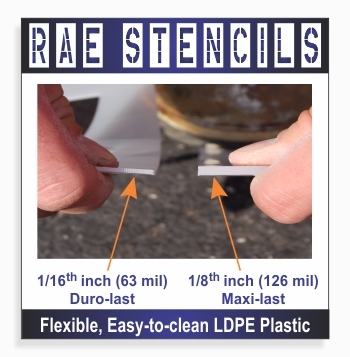 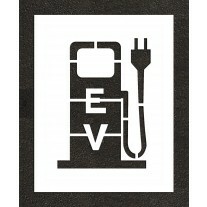 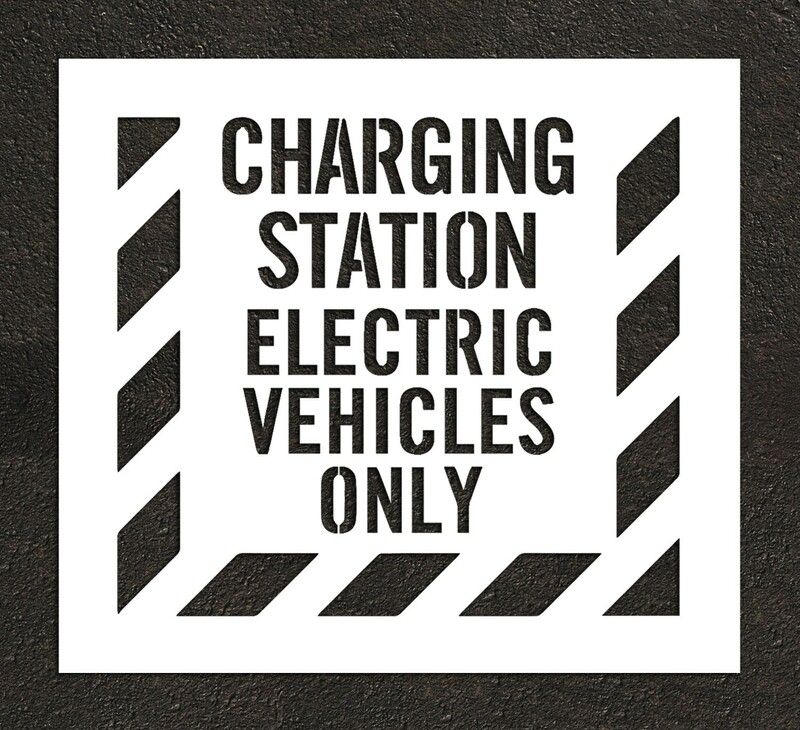 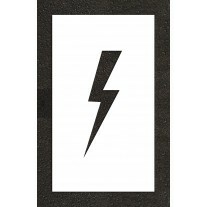 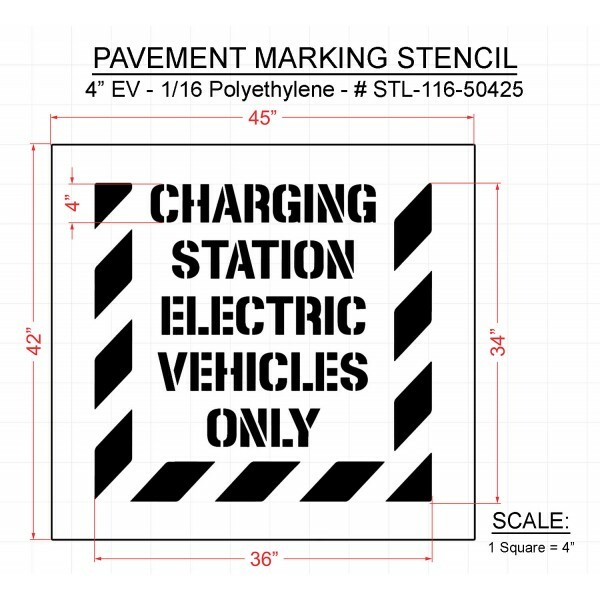 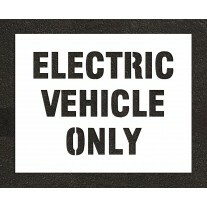 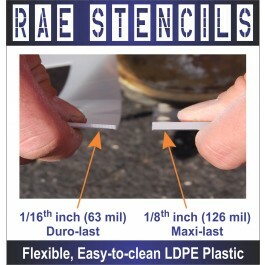 Our series of EV stencils come in different sizes, symbols, and wording - so if you don't see the one you're looking for, let us know, we can still make it! 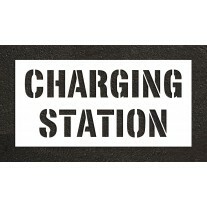 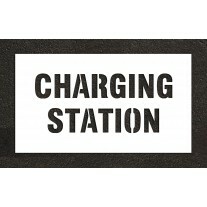 Many charging stations are on-street facilities provided by electric utility companies or located at retail shopping centers and operated by many private companies. 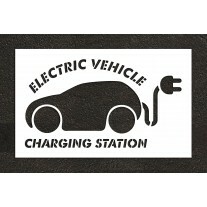 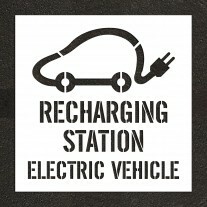 These charging stations provide one or a range of heavy duty or special connectors that conform to the variety of electric charging connector standards..
** An electric vehicle charging station, also called EV charging station, electric recharging point, charging point, charge point and EVSE (Electric Vehicle Supply Equipment), is an element in an infrastructure that supplies electric energy for the recharging of electric vehicles, such as plug-in electric vehicles, including electric cars, neighborhood electric vehicles and plug-in hybrids.